Large trucks such as tractor trailers and semis are far bigger and more difficult to steer than standard sized vehicles, and therefore pose a greater risk to other drivers on the road if not operated safely. There are strict federal and state regulations in place to help ensure your safety on the road, but when truck drivers violate these regulations, innocent people are put at risk. If you or a loved one has suffered injuries due to a truck accident or commercial vehicle accident, you deserve compassion, respect, and financial compensation—all in a timely manner. PA truck accident lawyer Jonathan S. Comitz is an experienced truck accident attorney with the knowledge and skills to successfully litigate these types of cases. He is familiar with the federal and state regulations pertaining to commercial trucking companies, and is dedicated to getting you the compensation you deserve. Dealing with the aftermath of injuries sustained during an accident caused by a commercial truck such as a tractor trailer or semi can be very traumatic, and we recognize that selecting the right attorney to represent your case can be difficult. Trucking companies can be very difficult to deal with, as many of them are self-insured, and therefore fight to protect their profits over your injuries. In cases involving commercial truck accidents, it is crucial to secure police reports, driver logs, licensing information and to see that a formal investigation is completed as expediently as possible. For this reason, it is crucial to have a truck accident lawyer involved from the start, because an experienced attorney will stay in contact with the police to make sure all of the necessary steps are being taken. At Comitz Law Firm, LLC, we believe that it is the responsibility of commercial truck drivers and the companies they work for to make sure that their trucks are operated in a safe manner. Some common causes of accidents involving tractor trailers and semis include: unlicensed or inadequately qualified drivers, speeding, driver fatigue, disobeying safety procedures, repair/maintenance failures, overloaded trucks or trailers, truck rollover, and failure to yield the right of way. 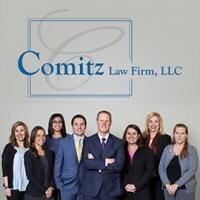 Personal Injury lawyer Jonathan S. Comitz has many years of experience advocating on behalf of clients who have suffered injuries due to truck accidents. He is dedicated and compassionate, and will fight tirelessly on your behalf to ensure that the parties at fault do not do anything to hide or mitigate their responsibility. 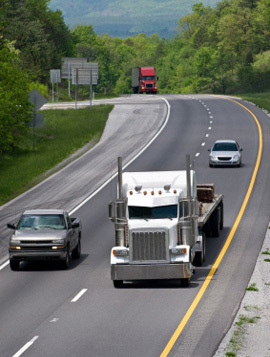 Attorney Comitz has fought on behalf of drivers, passengers, and pedestrians who have suffered injuries due to tractor trailer and semi accidents. He serves clients throughout the Commonwealth of Pennsylvania, so whether your truck or commercial vehicle accident took place in Wilkes-Barre, Scranton, Luzerne County, Lackawanna County, or elsewhere in Pennsylvania, contact our office for a free consultation today. At Comitz Law Firm, LLC, our Pennsylvania truck accident lawyer, staff and team of investigators is committed to protecting your legal rights. Regardless of whether your truck accident was a serious one—resulting in catastrophic injury or wrongful death—or a more minor accident, Attorney Comitz is here to provide you with the legal advice you need. Contact our Wilkes-Barre Personal Injury lawyer today for a free consultation, and let us put our legal expertise to work toward maximizing your recovery. $90,000 settlement for couple ran off the road by a big rig who both suffered neck and back injuries.